This is an original, one of a kind monotype print of an abandoned building on Jefferson Ave in Delray along the Detroit river. 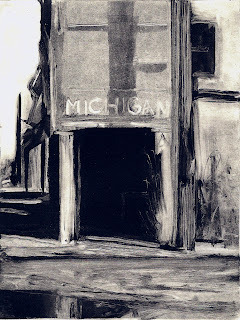 It is printed with Kelsey black oil based ink on white Rives paper. This monotype print was made by inking a zinc plate with a roller, then removing and drawing into the ink to leave a design. 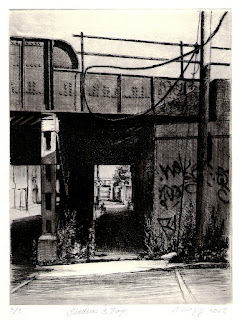 Damp paper is then place on the plate and this is put through the press. 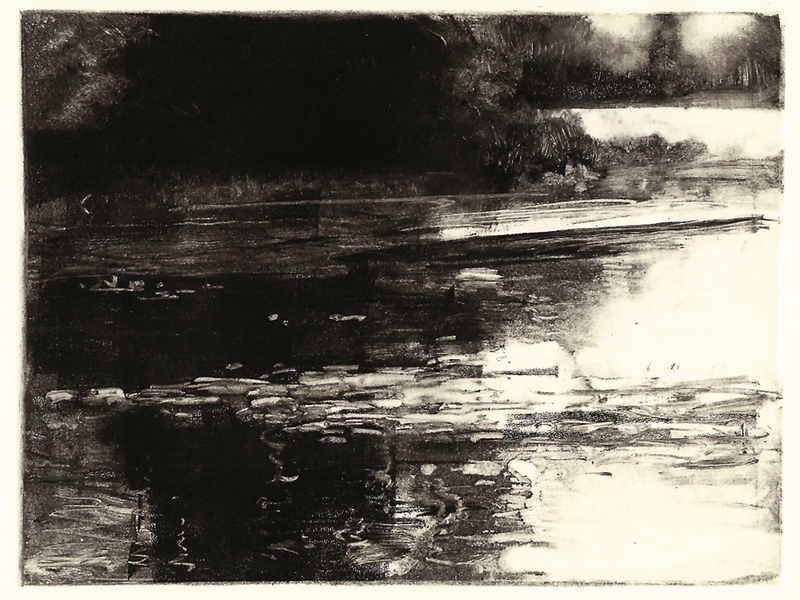 The ink is transferred from the plate to the paper, so only one print can be made. 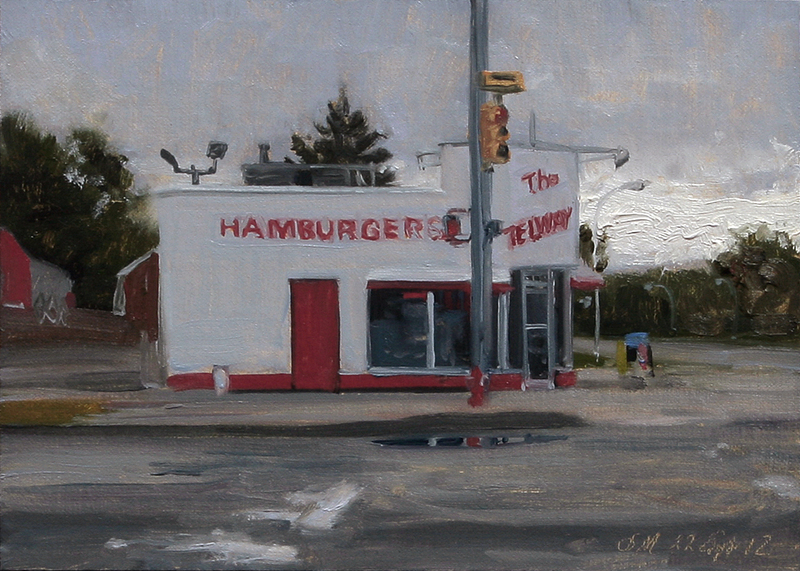 There is a ghost image left on the plate. 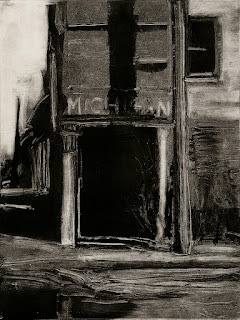 I used this ghost image as a base for a second similar but original monotype print. 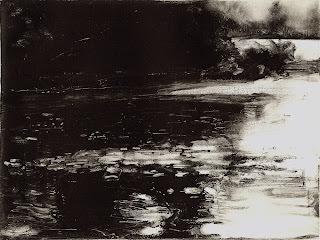 This is an original, one of a kind monotype print of a reflection and water lilies on a Belle Isle lake. 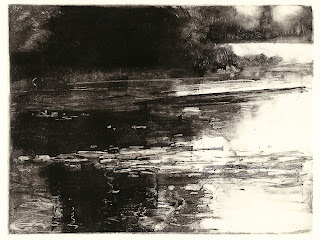 It is printed with Kelsey black oil based ink on white Rives paper. This is the second monotype re-worked from the ghost image from the first print. This painting is an urban landscape view of the docks along the Detroit river. 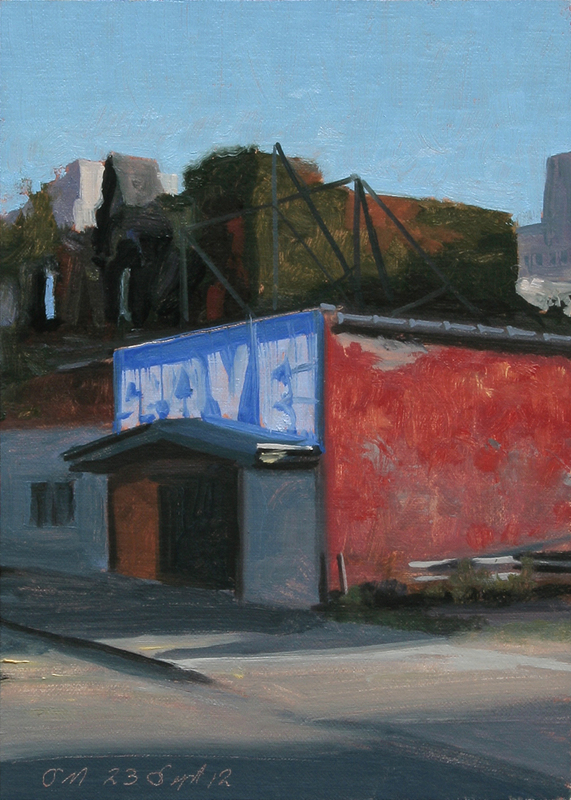 colorful building on Cass Ave in Detroit's Cass Corridor. 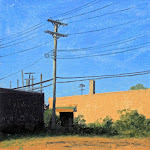 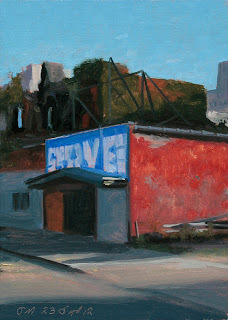 This painting is an urban landscape view of the Telway Diner on John R and 11 mile road. 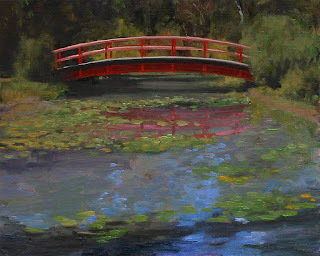 Oil on linen/panel, 2012, 8x10"
This painting is a landscape view of water lilies, reflections of the sky and footbridge over Nashua creek on Belle Isle Park in the Detroit river. 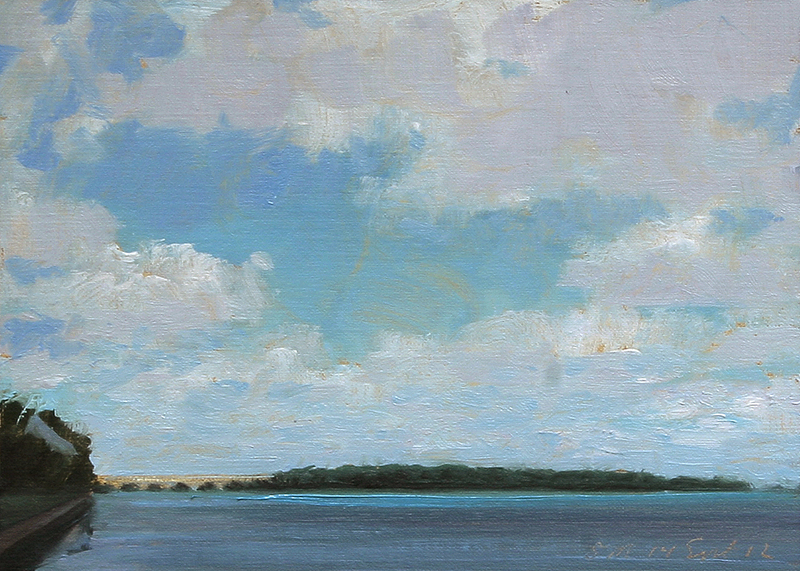 This painting is a landscape view of clouds over Belle Isle Park in the Detroit River. 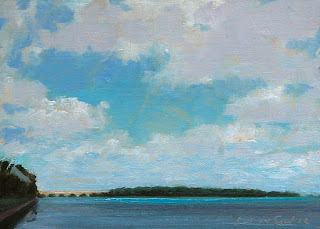 This painting is a landscape view near the Detroit River. 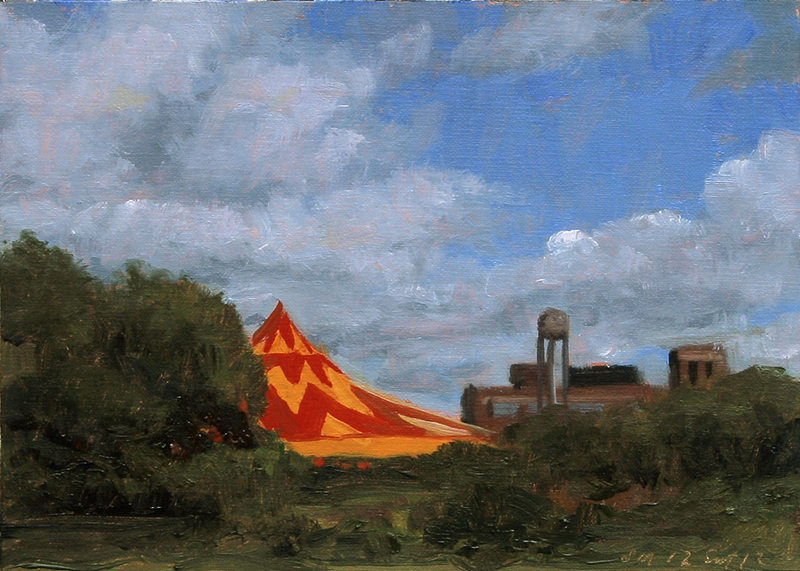 This bright red and yellow big top tent was set against a bright blue sky. 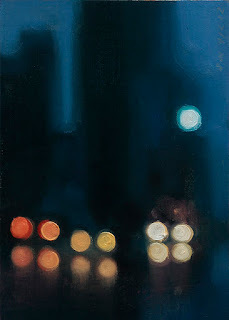 Today's oil painting is number eighty-three from the Citylights series of paintings of Detroit streets and lights at night. 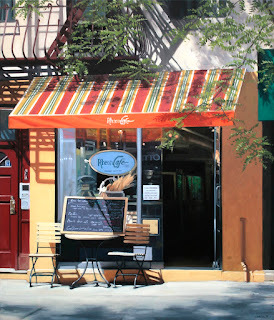 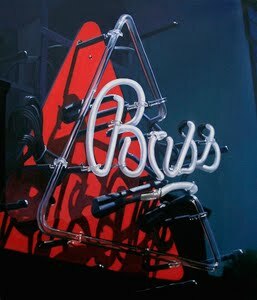 Oil on linen, 2012 42x36"
Today I am posting a new paintings that will be shown at the George Billis Gallery in NY. 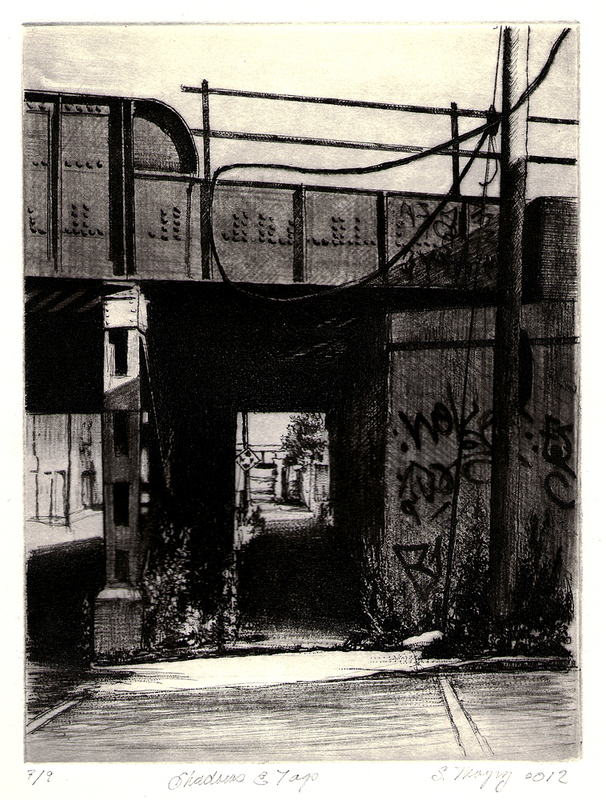 This cafe was in SOHO on Spring St.
A drypoint print of a view of shadows and tags on a Detroit RR bridge. 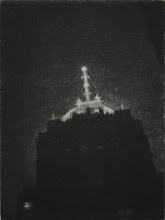 This drypoint print is #7/9 from a copper plate and Faust warm black ink on Rives heavyweight paper hand pulled by me. 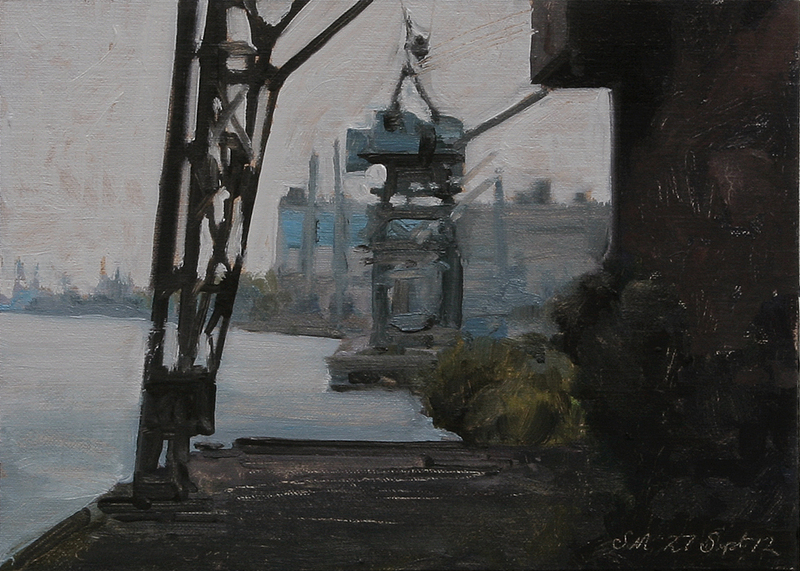 Each print is slightly different, this is the actual image.